We held each others gaze for a few seconds. Was he mocking me or genuinely suggesting a new angle? I decided to give him the benefit of the doubt and launched into a short discussion of the things I’d found upon venturing for the first time into the coal bunker of each house I’ve lived in. The room then filled with reminiscence of the days in which coal was fuel and houses had cellars or above ground huts into which coal would be poured by a superhuman strongman dressed in a dirty tweed suit (a weird distortion of Santa Claus: a Father Coal, of sorts). I grew up with coal bunkers. The military usage came later. Indeed the industrial bunker precedes its military cousin. Working from the ‘bunk’ root the OED tells me of the word’s Scandinavian and nautical roots. A bunk is a place to store or stow (or sleep). A container shaped for bulk storage, particularly upon a ship, is a bunker. To google ‘bunker’ is to travel in three directions: towards golf, into the world of bulk cargo shipment or into military chambers. 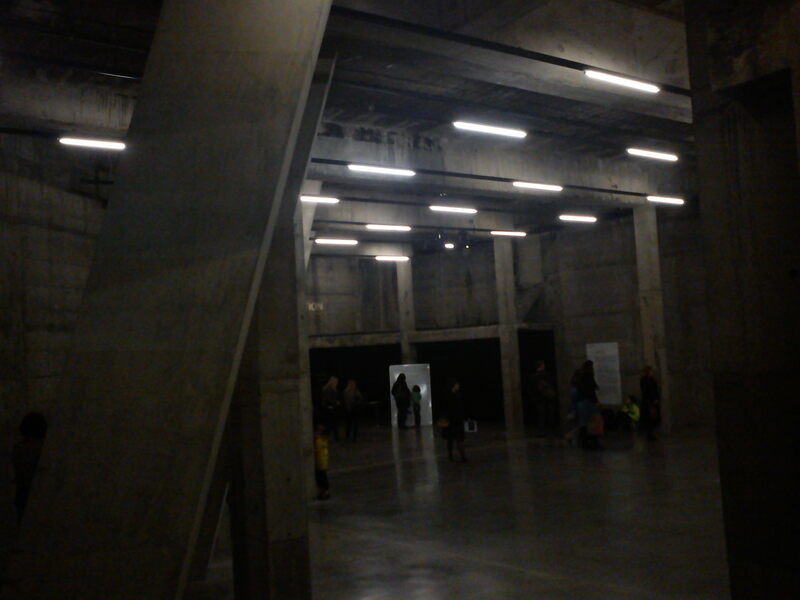 The photo above is from the Tate Modern, taken within the (very dark) ‘Tanks’ a recently opened gallery space created within what used to be this power station building’s three oil tanks. If the tanks ever had metal that has gone. What remains is an irregular asymetric grey concrete void space. And its very dark in there, at one point almost pitch black, and only the strip-route of thick pile carpet guides your way. It’s an interesting space, and odd to see people walking around inside the cast of former tanks. The space reminds me of The Deep, the angular ‘underwater’ aquarium in Hull. In Hull the fish are in vast tanks with humans descending their course via gantries and viewing stages. In the Tate’s Tanks the human visitors take on the role of the fishes (and the oil), flowing through the ghost-tanks with wandering curiosity, searching out the sparce content in the gloom. Ever since I first heard it late one night on a TV documentary sometime in the 1990s the early Fall song ‘Industrial Estate’ (1979) has captivated me. It bubbles up in my mind from time to time, reminding me that one day I need to figure out the anti-aesthetics of the industrial estate. Why, are these places so, ‘non’. Why, to most, are they zones bereft of any value at all? Why did my father wince every time someone mentioned manufacturing or industry? This was remembered place of work and worthlessness. Smith had worked as a clerk at nearby Salford Docks (the early Fall song ‘Container Drivers’ capturing that lifeworld perfectly). This was part of a mid twentieth century working-day reality. By Smith’s teens “Dark satanic mills” of the Victorian mill towns of Lancashire had been augmented by the engineering and logistics sheds of the vast Trafford Park industrial estate, which had grown and grown from the late nineteenth century onwards. So wrote John Betjeman in his 1937 anti-eulogy to Slough and its industrial estate (the largest in Europe). Betjeman’s association of bombs and industrial estate was a surprisingly fitting one for the one thing that connects many industrial estates (and certainly the first wave of sites like Slough, Park Royal and others on the London periphery) is their link to either munitions manufacture and/or marshalling materiel for onward shipment to the Western Front in the First World War. By 1918 the Government had built 240 munitions related factories, many of which drifted into industrial estate type use after that war (just as RAF airfields did in turn after 1945). By 1918 the Slough site was home to 17,000 army surplus vehicles and 1.8 million sq ft of covered workshops. The site had been acquired (as a farm) by the government in order to amass vehicles there for a proposed motor-borne assault in the Western Front in 1919. 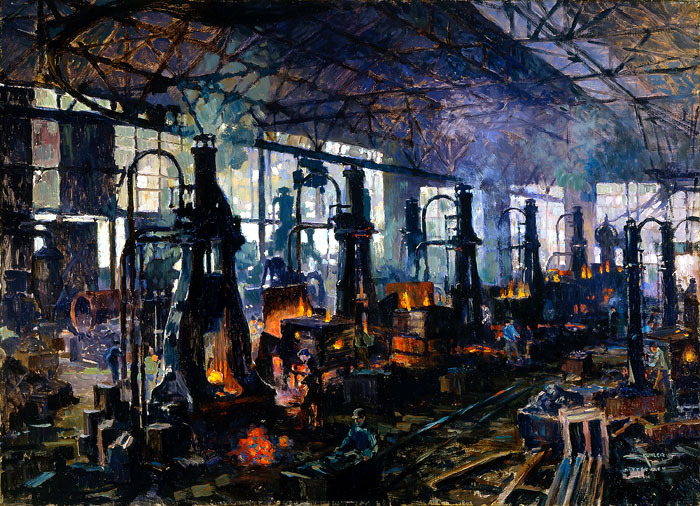 In 1920 a group of investors bought up that stock, and the land on which they sat, first selling the vehicles and then mobilising the land as an estate for industry and its sheds. Such places were ripe for development as monocultural light industrial zones, Ebenexer Howard’s advocacy of zoning based urban planning finding traction in the ensuing decades (aided by the rise of the motorised distribution of goods and workers). 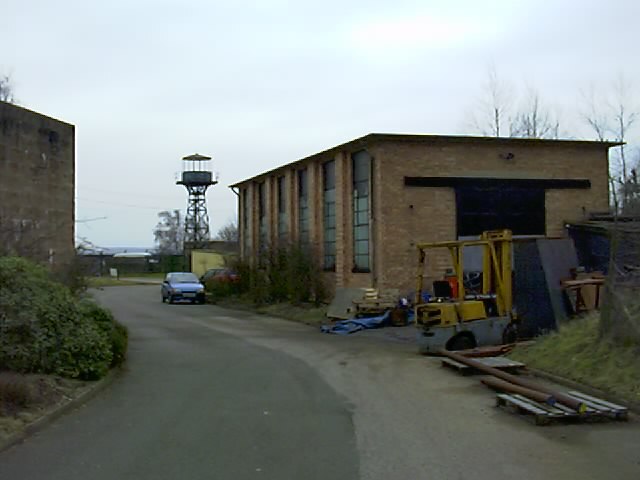 In the 1930s a second wave of government initiated industrial estates were developed, such as Treforest in South Wales, to address the decline of primary industry there. During the Second World War large swathes of manufacturing capacity across the country, and its attendant real estate were requisition (or contracted into) the war effort. This was occasionally laid bare for me when I was working as a lawyer, somewhere buried in the ownership paperwork for a site would be a wartime lease revealing the factory’s temporary secondment as a Spitfire factory, or paperwork revealing (the once top secret) fuel and other supply pipelines laid to keep the nation’s vital industrial fluids flowing. It may feel odd to do so, rubbing as it does against modern sensibilities, but industrial estates deserve their fair share of attention – and given some attention they will coyly reveal more colour than their drab forms and colours might at a first glance promise. 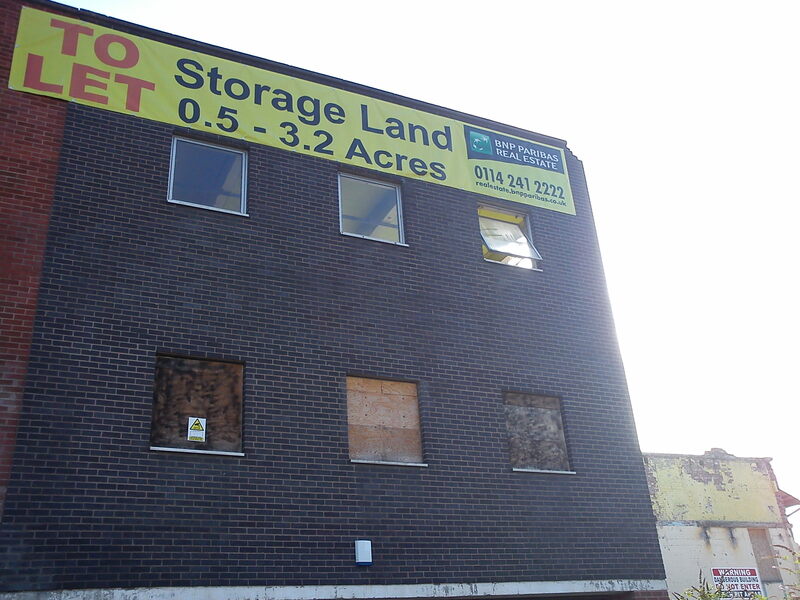 a.k.a New Uses for Old Bunkers #27: what did the industrial estate do in the war? It is often the shortest journey, undertaken with least expectation, that offers up an excess of possibility beyond what we expect to see. It’s always worth exploring the other side of the barbed wire fence. 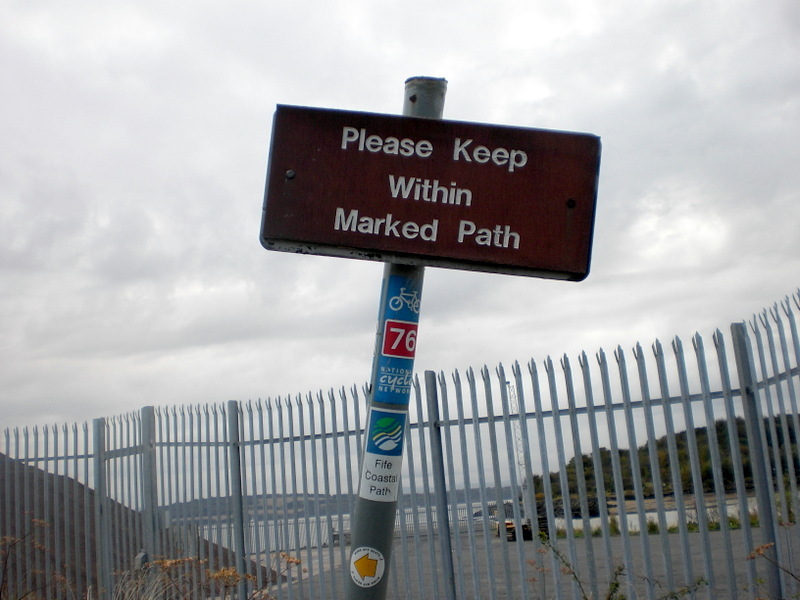 Never keep to the path. (Extracts from FPC Field Guide). Here are the slides for my presentation today to Leeds Psychogeography Group (thanks Tina Richardson / @concretepost for inviting me). There’s an essay that I need to finish writing that develops the outline presented here. I will add it when done. During breakfast yesterday my ears pricked up when I heard the headlines declared for Radio 4 Today programme’s 8am news report. A new instalment of English Heritage’s ‘buildings at risk list’ was out: interesting, but not enough to stop me munching my cornflakes. No, it was the BBC’s choice to illustrate that list by reference to the remains of Theford Cold War A-bomb store (at the former ‘RAF Barnham’ – now a run down industrial estate) that stopped me in my tracks. Why had they chosen that as their teaser? I waited with baited breath to find out. Was this going to be a ‘those mindless bureaucrats have gone and designated something stupid and valueless as a heritage asset?’ story-line or instead the ‘the heritage we are in danger of losing is of a wider range than you might think, we are at the brink of forgetting the Cold War’ angle. Actually, it proved to be neither. The substantive news item was brief, and illustrated its theme via a derelict rollercoaster rather than the A-bomb place (but the tone was more in the ‘we need to save recent heritage too’ discourse, than the silly bureaucrats one). Having now looked briefly into it I find an array of local and national press reports of the publication of the list yesterday and they each foreground the A-bomb store and the roller coaster. It looks like a clear case of ‘story placement’, I haven’t tracked it down yet but I think I could easily reconstruct English Heritage’s originating press release from the quotes, themes and pictures recurrent in the published reports. So, why the focus on these twentieth century ruins? Well, it looks like an attempt to map the breadth of our built environment heritage, and the speed at which it can be lost. An attempt at something contemporary and of wider appeal than stock images of stories of castles and stately homes, a stab at something less stuffy, middle England and middle class (a sensitivity acknowledged in some of the press reports). And there’s also proximity to the fiftieth anniversary of the Cuban Missile Crisis later this month – the nation’s bunker museums are currently getting good media coverage as a way of portraying the nervous horror of the Cold War era, as an emotive adjunct to newsreel footage of politicians, newspaper headlines, and naval blockades. The physical – the ‘concrete’ in both senses – can remind us or connect us with something felt and lived that such newsreels cannot. And these Cold War places (for some) have a chilling power to provoke a strange cherishing affection. Let me explain. When I was a jobbing environmental lawyer, I spent most of my time playing a small role in the deindustrialisation of South Wales and South Yorkshire. At least, that’s what I thought and noticed at the time. I realised that the steel works, the coal mines, the textile factories and the chemical plants were closing, everyone did. What I didn’t spot so readily was that the Cold War military sites were closing then too. But, when I think back on it I was involved in a fair bit of that as well. It is only after the event and looking back that I can join the dots of those specific events and realise that there was a profound demilitarisation process at work in the 1990s and early 2000s. First, I remember a land agent. As a long serving staff member of a government agency he’d dealt with a very diverse portfolio of properties in his career. But when he was assigned a ‘specialist’ former munitions site to look after he developed a very evangelical attachment to that place, fondly sharing with me archival worker induction films from the 1940s and battling within his organisation to get recognition of the heritage value of the crumbling drab block-houses that made up this site (whilst my professional focus was directed more to the soil contamination and buried ordnance still resting beneath them). Secondly, I remember a conversation with a former colleague. He had a very fond attachment to the recently closed local USAF airbase and its nuclear bomber silos. He spoke earnestly to me about how he would resign rather than act for any developer who might wish to turn this particular place into anything other than a Cold War museum. He was deadly serious. This would be a career-staking cause if necessary. He wanted those odd structures to live on as a way of ensuring that the Cold War era was remembered through that place as a physical monument to that time and the former life and importance of that place. I felt that in the passion of his words and attachment to that place and former time he was displaying something equivalent to a previous generation’s attachment to the steam railway as an embodiment of a formative childhood world now lost. But, as far as I can tell, he never had to resign. Through a concentrated programme in the 1990s English Heritage surveyed and then attached protective designations (‘listing’) upon many twentieth century military and defensive buildings and structures. Some new uses have been found within the protected structures of some (e.g. server farms with the hardened nuclear silos at Greenham Common, built to shelter cruise missiles in the 1980s) most remain out of (re)use. As the English Heritage briefing to the press has noted, most ‘at risk’ heritage buildings have little prospect of redevelopment to new uses, and there is resignation to a strategy of preservation against further regeneration. Sympathetic re-use (ideally with addition of a heritage centre) is the goal, but for many such places the best that is realistically being hoped for is a condition of preserved ruination, rather than dilapidation, deterioration and eventual disappearance. But it’s a fine line, for ‘preserved’ ruination costs money too.